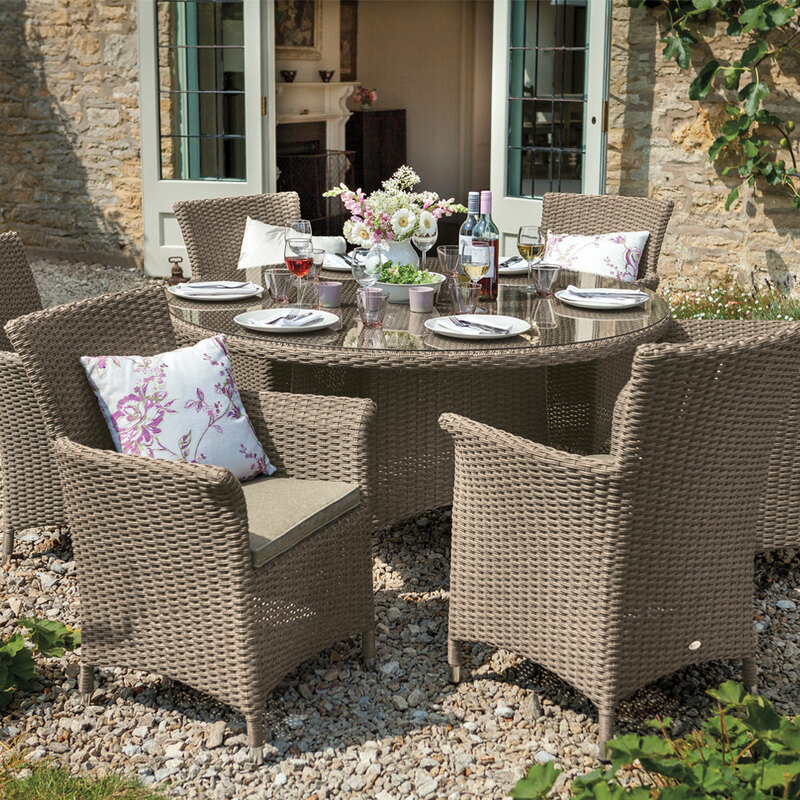 The spacious six seat set is ideal for dining and relaxing, made from a synthetic resin weave hand woven over a strong but light aluminium frame making the set completely weatherproof and virtually maintenance free. The round table is easy to assemble and has a toughened glass plate which sits over the weave. The Ashford chairs are ergonomically designed for comfort and although not weatherproof the luxurious cushions are hard wearing and easy to clean.